16 weeks+: 6 sessions; work on obedience and applying it to real life, address problematic issues like jumping, nipping, stealing, counter-surfing, etc. plus work on individual problems you may be encountering with your dog. We will cover sit, down, stay, recall, loose leash walking, drop it, leave it, etc. We will teach you how to introduce distance, distraction, and duration to the skills your dog learns to help solidify those cues. $125 Note: The first week of class is 2 hours long with no dogs (this is the human training). 16 weeks+: 8 sessions; Is your dog deaf? Blind?Missing a limb or have paralyzed limb(s)? Is your dog Diabetic, recovering from Cancer or surgery, have bad joints, a brain injury, or any other disability? This class is Basic Obedience for dogs who have a disability to work around! Disabled dogs can learn too! 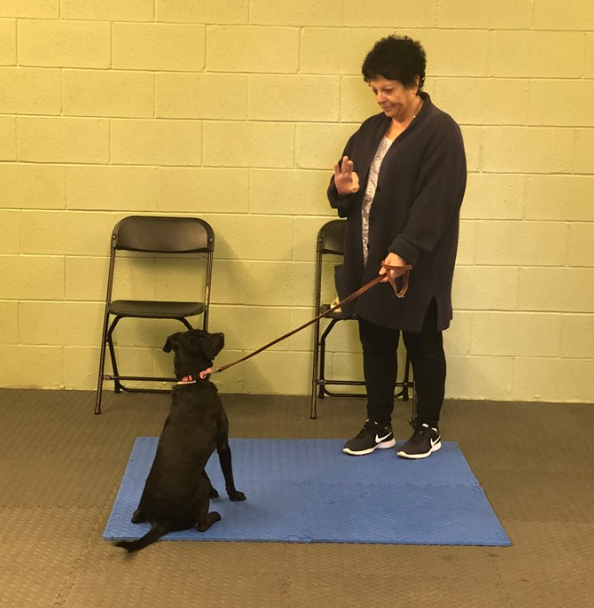 We will work on obedience and applying it to real life, address problematic issues like jumping, nipping, stealing, counter-surfing, we will teach you hand signals for the deaf dogs, touch signals for blind dogs, and many other tips to help your dog learn! We will also do some confidence building, like tricks & agility! $145 Note: The first week of class is 2 hours long with no dogs.